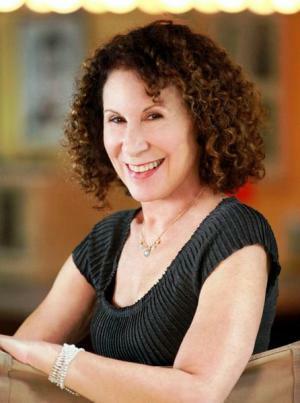 Rhea Jo Perlman is an actress and writer born on 31st March 1948, in Brooklyn, New York City, USA. She is probably still best known for her role of Carla Tortelli in the American sitcom “Cheers” (1982-1993), which brought her ten Emmy nominations and four Emmy Awards. Apart from this, she has appeared in more than 20 TV series and over 50 films. Have you ever wondered how rich Rhea Perlman is? According to sources it has been estimated that Rhea Perlman’s overall net worth is $50 million, acquired by portraying various roles both on TV and in films since the early 1970s. Her four times Emmy awarded role in “Cheers” helped add significantly to both her net worth and popularity. Since she is still an active member of the entertainment industry, her net worth continues to increase. Rhea was born the older child in a family of two children. Her father was also an actor, and supposedly had an influence on both of his daughters later interest in the entertainment industry, since the younger sister, Heide Perlman, is now a successful writer and television producer. Perlman graduated from Hunter College in New York, and made her acting debut in 1972 when she played a role in a short film called “Hot Dogs for Gaugin”. Later that year she also appeared in Westbeth Playwrights Feminist Collective’s production of “Up-An Uppity Revue”, in which she starred alongside Danny DeVito, her future husband. During the ‘70s she acted in numerous TV productions and short films – one of her first notable roles was in the Emmy awarded TV sitcom “Taxi”, playing Zena, the girlfriend of DeVito’s character. However, it was in 1982 that she was given the role of Carla in the hit TV series “Cheers”, which showed her true acting skills. This performance won her four Emmy awards, in 1984, 1985, 1986 and 1989, ten Emmy and six Golden Globe nominations. Her net worth benefited accordingly. During this period, Rhea also starred in several other TV shows, including “The Ratings Game” (1984), “St. Elsewhere” (1982-1986), “The Tortellis” (1987) and even in an episode of Spielberg’s “Amazing Stories” (1986). Her busy career continued through the years to follow, and during the ‘90s she starred in various TV movies and motion pictures such as “There Goes The Neighborhood”(1992), “Canadian Bacon”(1995), “Sunset Park” (1996) and “Matilda”(1996). Perlman also appeared in the 1992 TV movie “To Grandmother’s House We Go”, with the Olsen Twins. In 1996, she portrayed the title character in the sitcom “Pearl”, then in the TV film “How to Marry a Billionaire: A Christmas Tale” she played the role of Jacqueline Kennedy, and later that same year starred in “Secret Cutting” as a therapist. Her net worth rose steadily. Some of her more recent roles include those in the 2007 comedy “Boeing Boeing”, “Beethoven’s Big Break”(2008), the TV series “Hung”(2009), and “The Mindy Project” (2014). However, apart from being a successful actress, Rhea is also a gifted writer and the author of the illustrated the children’s book series “Otto Undercover”, which she started publishing in May 2012. When it comes to her personal life, Perlman has been married to actor Danny DeVito for over thirty years. The couple married in 1982 and have three children. They have acted alongside each other in several films and TV shows, including “Taxi” and “Matilda”. However, in October 2012 they announced their separation, but only a few months later it was reported that they were reconciled. The family lives in Beverly Hills, California, and in their vacation home in New Jersey. 1 She starred in only one movie, Matilda (1996), with her husband Danny DeVito, where they played Matilda's parents. However before they were married, Rhea appeared in five episodes of Taxi (1978) as Louie's girlfriend Zena. 4 Gave birth to her 3rd child at age 39, a son Jacob Daniel DeVito (aka Daniel J. DeVito) on October 30, 1987. Child's father is her husband, Danny DeVito. 5 Gave birth to her 2nd child at age 36 or 37, a daughter Grace Fan DeVito (aka Gracie DeVito). Child's father is her husband, Danny DeVito. 6 Gave birth to her 1st child at age 34, a daughter Lucy Chet DeVito (aka Lucy DeVito) on March 11, 1983. Child's father is her husband, Danny DeVito. 7 Cousin of Randall Miller. 8 She has played the same character (Carla Tortelli) in five different television series: Cheers (1982), St. Elsewhere (1982), The Tortellis (1987), The Simpsons (1989) and Frasier (1993). 9 Close friend of Lucy Liu. 10 No relation to Ron Perlman. 11 Along with Ted Danson and George Wendt, she is one of only three actors to appear in all 273 episodes of Cheers (1982). 12 Was nominated for an Emmy 10 times out of 11 years during her tenure on Cheers (1982). 13 Older sister of producer-writer Heide Perlman. 14 Her father Philip Perlman was in the TV show Cheers (1982) as Phil, a bar patron. 15 Majored in drama at Hunter College (NYC).